Thank you Body Language Soaps for sharing this awesome tip about keeping your lip balm and lipstick areas clean. Be sure to check out her blog – she recently did a great pictorial explanation about how she makes her Cold Process soap. 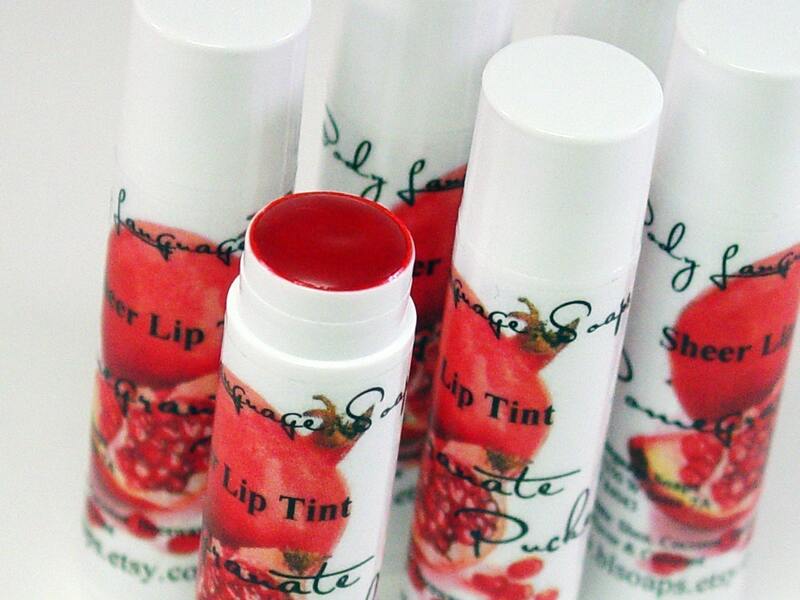 Or get your own Pomegranate Lip Tint from Body Language Soaps here. That's a great tip! I've wanted to make some lip butter for a winter show, but didn't want to hassle with the small pots and different flavors, but this will be much easier. and her Photography are beautiful! i took a bunch of new pictures last night and hopefully they are good enough but there is always room for improvement! i always feel guilty about that too….being a tree hugger and all, and bragging about how eco friendly i am. we live in the country and septic tanks do NOT like grease! Great tips from Body Language Soaps and Ten Digit Creations – thanks! That's what I do also, except I don't have one for every flavor. Just pour out what I need using the tip below. Another tip for you; use candle pour pots. They are a breeze to clean up after use. Just heat back up and wipe out with a paper towel, then with a wet wipe, then clean normally. Makes clean up another breeze! !